“I was not intending to repair here just wondering what kind of damage I had caused. However after talking with Tom the proprietor and getting his detailed repair estimate I was sold. He was so knowledgeable and genuine. He explained everything to me and told me how long it would take to fix. I called my insurance company and was instructed to take my car elsewhere. When I went to the insurance company's recommend shop the estimate was considerably higher and my car was going to take twice as long to repair. I told my insurance company I was going to Waukegan Gurnee Auto Body. Afterwards I took my car to Tom, gave him my insurance information and he took it from there. My car was ready on time. The work exceeded my expectations as Tom went above and beyond. My car looked brand new! I definitely recommend Waukegan Gurnee Auto Body. They are friendly, honest, and efficient with superb quality. “Tom is a surgeon of auto body repair. He has done excellent work on all my cars including a Mini Cooper, Mustang, Honda Accord and Jeep Wrangler. I would higher recommend his services to anyone. “This is a place that's worth the drive if you're looking for affordable, reliable body work! I brought my Jeep in for paint damage. Unfortunately, the damage was a little deeper than I initially thought. “I'm extremely pleased with the work and the care I received at Waukegan Gurnee Auto Body. A young man was too impatient as I was parallel parking so he drove ahead while my car was still protruding into the street. He skimmed past me and scratched the front end of my new Toyota Prius. He was so scared I felt sorry for him. So I let him go without calling the police or taking down his insurance information. Since I was paying out of pocket, I asked Tom to help me with the cost as much as he could. He was so kind and understanding, he gave me a great estimate (actually almost half I would have paid at an auto-shop 2 minutes from my home). 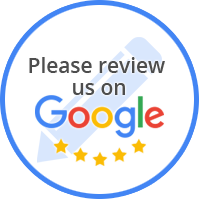 “(Translated by Google) Good job, good price, fast, highly recommended place. “I brought my car here after my mechanic caused some minor damage to my car. I worked with Tom, who is the owner, and he was excellent to work with! They worked with my schedule and facilitated communication and payment with my mechanic without my intervention. They fixed my car on schedule and within the estimate. “Needed a rust spot 'cleaned up' on the rear bumper of my 2003 Nisson Frontier truck. Picked it up a day later and it looks brand new. “Tom did a great job on my car. The entire process of dealing with insurance companies and getting estimates was a real headache, but as soon as I handed my vehicle over to Tom and his staff everything went very smooth. My car was finished on time and everyone was very kind to me at the shop.